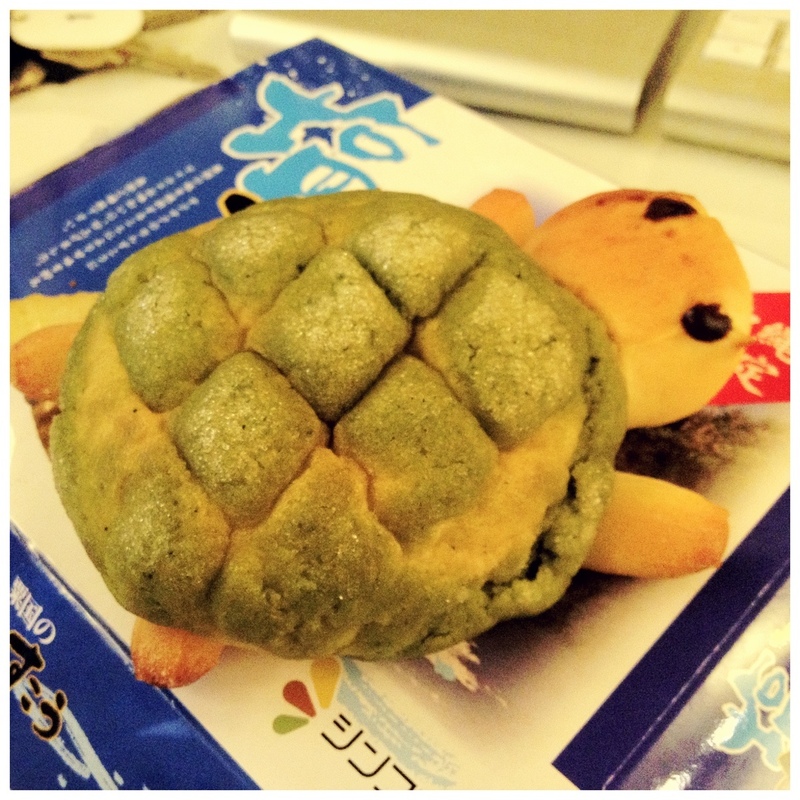 Turtle Melonpan – Where is Naoko? Bread from Shin-enoshima Aquarium called kameronpan (カメロンパン = kame + melonpan). Melonpan is a type of common sweet bread in Japanese bakeries, covered with a layer of cookie dough. Taken at Shimokitazawa OSS Cafe.